Intel announced new chips that save power, offer connectivity and voice commands. Intel announced new chips that save power, offer connectivity and voice commands, opening new avenues for the likes of Cortana or Alexa. 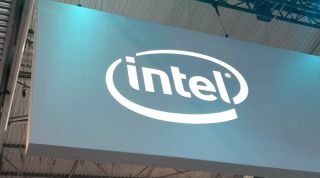 During IFA, which currently takes place in Berlin, Intel unveiled two new members of the 8th Generation Core family of processors. They are called the Y-series and the U-series (codenamed Amber Lake and Whiskey Lake, respectively), and they are designed primarily for lightweight laptops and 2-in-1 systems running Windows. The speeds are what you'd expect – U series run at 1.8 GHz and 1.6 GHz, both being quad-core designs. Y-series, dual-core designs, run at 1.5 and 1.3 GHz. But the connectivity seems to be more important. These chips come with Gigabit Wi-Fi, meaning OEMs will no longer need to include separate modules for it. Intel says that with the right network infrastructure this wireless connection can download at 12 times the speed of current wireless networks. Having these chips also means the devices that run them will consume less power. Intel is claiming some 16 hours of battery life. Although this figure is probably debatable, we can still expect long-lasting machines. Then, there is the onboard audio solution which will allow 'wake on voice' features. Intel says it's planning on working with OEMs to offer features like Alexa or Cortana.